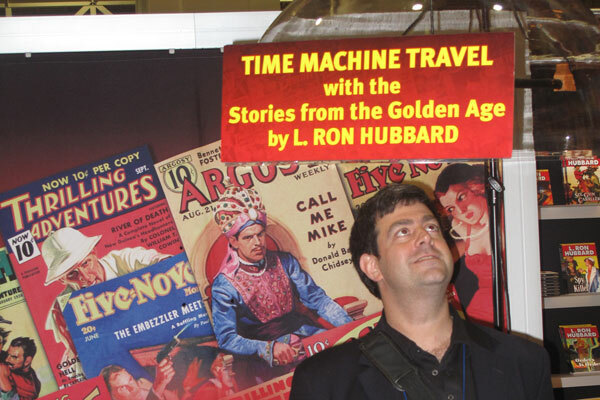 Stories from the Golden Age is a line of 80 books and audiobooks containing 153 stories written in the 1930s and 1940s by L. Ron Hubbard. By combining the original artwork from the magazines of the period with the science fiction, fantasy, mystery, adventure and western stories, we recreated the look and feel of the original pulp fiction magazines. 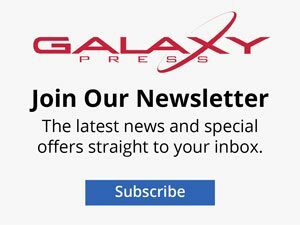 The multi-cast, unabridged audiobooks with original music and a library of over 150,000 sound effects set a new standard in quality audiobook entertainment. America’s favorite form of entertainment during the first half of the 20th century—radio theater—had been combined with 21st century sound technology. 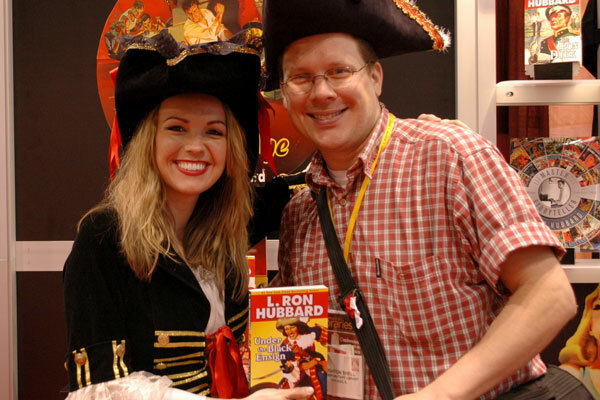 Beginning in 2008, with cutlass in hand, Captain Tom Bristol from the high-seas adventure story “Under the Black Ensign” was on hand to help us introduce Stories from the Golden Age at the American Library Association Annual convention in Anaheim, CA. 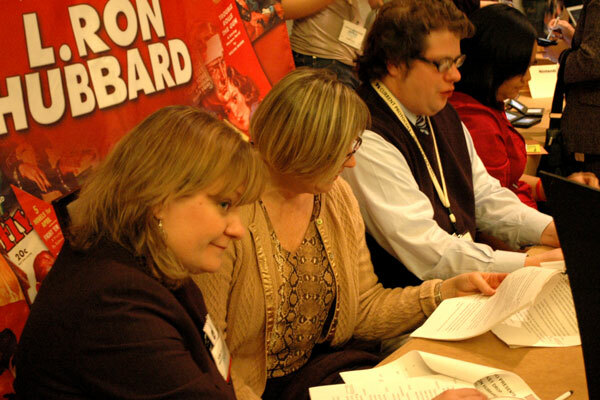 In 2009 after having met Beth Yoke, director of YALSA (Young Adult Library Services Assn), a Readers Theatre Performance Kit was created to provide simple programming that could be executed by librarians that did not require big budgets or staff. To prove the point, we brought the kit to the ALA Midwinter show and had the librarians perform for each other! 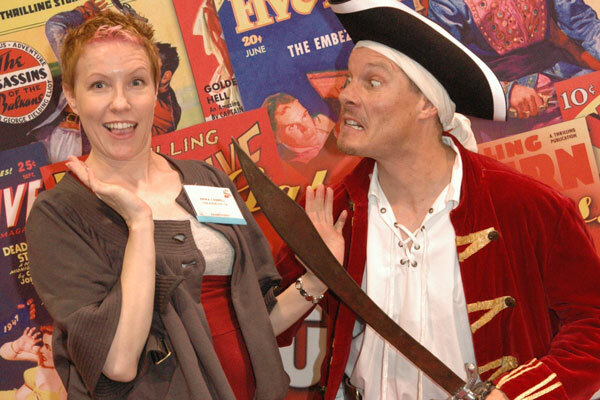 Later in 2009, the Annual Conference was held in Chicago, where the pirates seem to be much better looking. And there we continued to roll out our Golden Age stories. 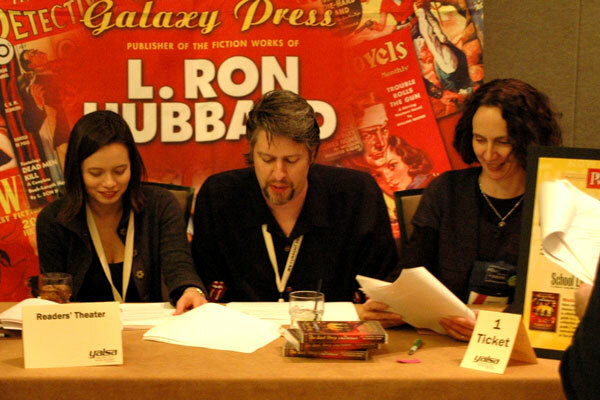 In 2010, the ALA was held in DC. 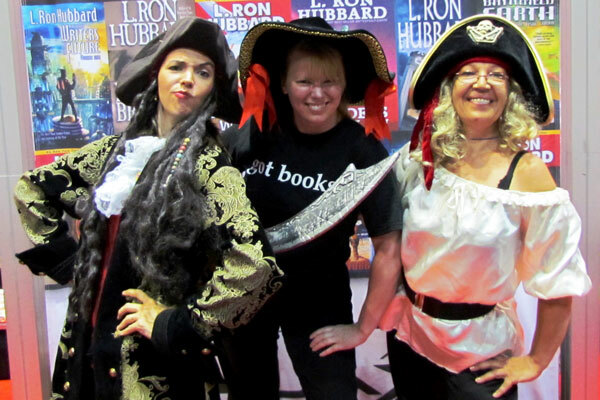 By this time, our pirate was becoming a standard and anticipated fixture at the Galaxy Press booth and librarians looked forward to their photo with the pirate. 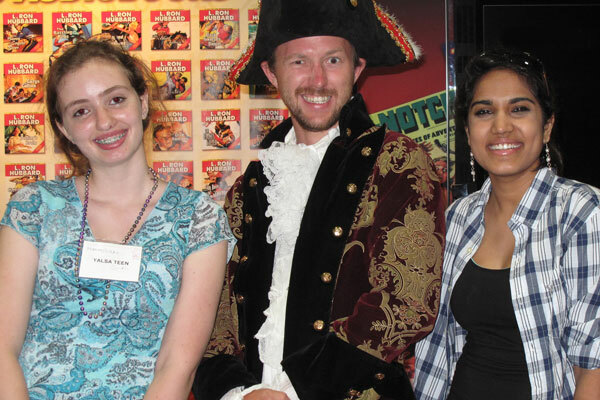 And now, with our growing relationship with the ALA, and with YALSA in particular, YALSA Teens had become standard visitors to our booth. By now, our audiobooks had become the talk of the audiobook world and had been earning the coveted Audiobook of the Year Award by Audiofile. (This would go on for 6 years in a row!) What better way to let librarians know about our audio quality than with a Sound Dome! This isn’t a new concept if you are a fan of “Get Smart.” But just in case you aren’t, a sound dome is an amazing device that allows someone who stands under it to hear the audiobook. Stand outside the dome, and you don’t hear anything! 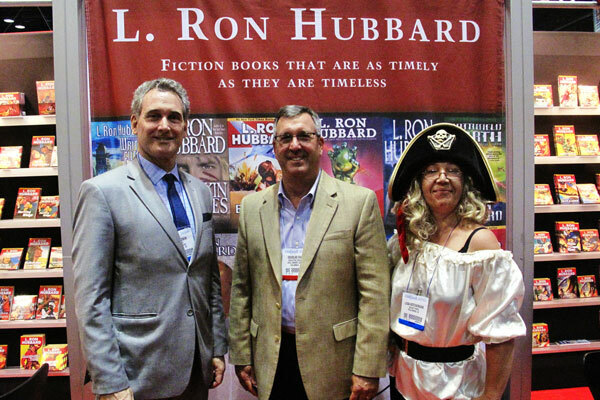 One of the editors from Publishers Weekly came by our booth to check it out for himself. By this time, the popularity of the Stories from the Golden was growing. So when a new feature of the ALA—the Pop Top Stage—was announced, we were on it. Literally! 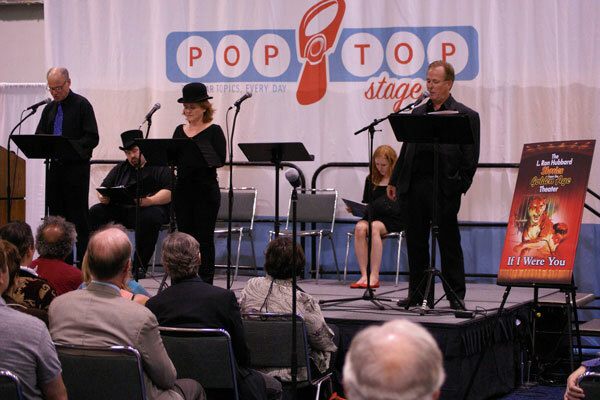 We brought several of our actors to the ALA in Los Angeles to perform one of our fantasy stories, “If I Were You.” Left to right: Jim Meskimen, Travis Oates, Nancy Cartwright, Taylor Meskimen, RF Daley. Back in Chicago, we met up with Doug Evans, Director of the Ohio Public Library System, whose annual event we had attended the prior year. 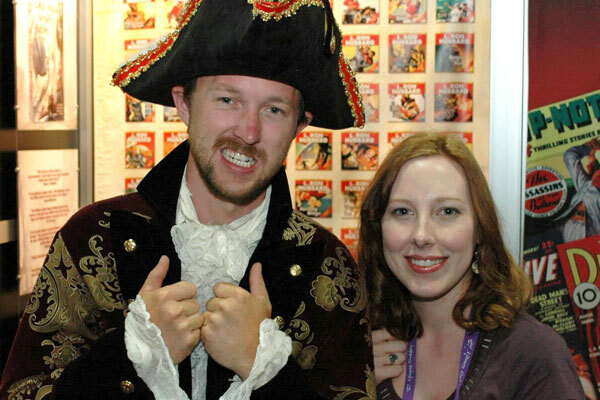 And yes, we had our pirate on hand! In 2014, the Annual Conference was held in Las Vegas. 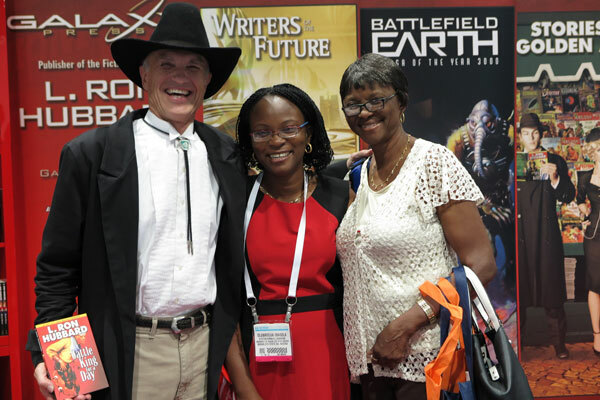 Evidently there are pirates everywhere in Las Vegas, so we incorporated a cowboy instead. 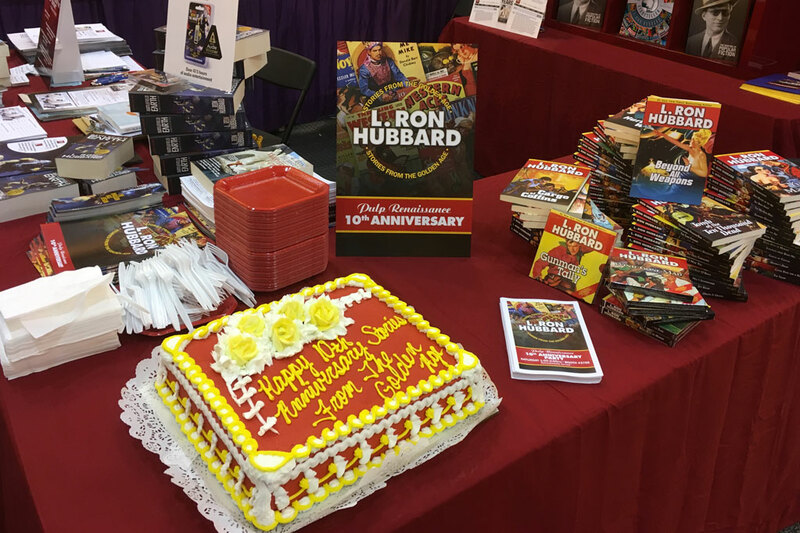 We had now released all 80 books and as we continued to make the Stories from the Golden Age books known, we also featured our Writers of the Future series as well as the monumental re-release of Battlefield Earth book and audiobook, both hitting #1 on national bestseller lists in 2016. A full 10 years after release, it has now come time to celebrate. Not only was it our anniversary. But this line of 80 books, comprised of stories written in the 1930s and 1940s, had sold over 2.4 million copies! 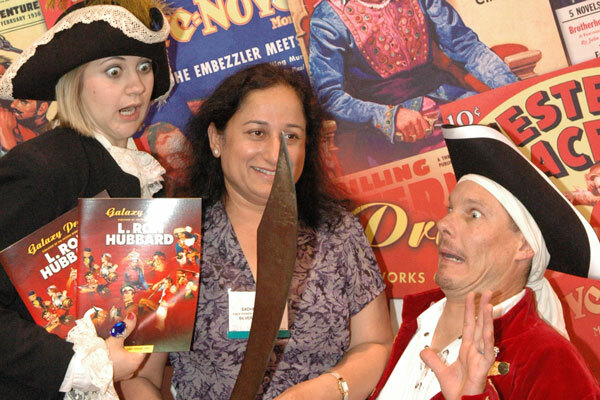 So in New Orleans at the Annual Conference, over 100 librarians came to our booth to help us celebrate. Great. Looks like the series stood the test of time!